Hardware cloth is no good for what is under the barrel as its full of earth from the side that has baked into lumps the size of pea’s plus there is more charcoal than ash anyway , i have a garden sieve thats made of plastic that has 5mm holes and i tried that but like i say it needs at least 10 mm holes for the hard clay/soil to drop out . yes my drum has a removable lid ,and once cooked i seal off the bottom with some insulation and that lets it cool down till i empty it the next day , i then just lay it down and shovel the charcoal out into smaller drums ready for sizing . i could line the trench with steel plate or fire bricks if i wanted but this is just a temp way of getting all the floor litter off the ground as close to where it is as possible , its easy enough after the burn to just shovel out the underneath and into sealed containers ,and i will decide if i want to work it for engine grade or just spread it around the garden as biochar , i have now found a small basket with 10 mm holes so will try that and see if the pea like lumps of clay/dirt fall through , or i might just use it in the gasifer closer to when i am about to change out the nozzle . Quite by accident I found I can torrify wood and make some quick charcoal with a wash machine tub and steel drum. I was just trying to conserve firewood for my back yard fires and noticed the drum would slid over the wash machine drum. I then thought this might be able to rapidly dry green wood and last fall fire here I loaded a hot fire up with green wood when done for the evening and the next time I looked inside I made some pretty good charcoal without trying and torified not just dried some wood. I did not see any smoke but now and then you got a whiff of smoke . Like a smoker kind of smell. Not knowing much about what was happening inside I did not watch this very close. Hi Wallace, This is some good information. The washing machine drums could be loaded with wood and torrified and when cooled removed from the burn barrel. The next one is loaded and ready to go for the next burn. Empty and reload the other drum with wood. Can you give us some pictures of the setup. 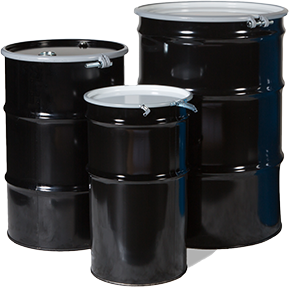 I like the idea of using scrap washing machine tubs that fit inside of 55 gallon drums. Stainless steel perforated drying baskets --perfect! But, if you put the green wood inside a sealed drum with the cooling charcoal doesn’t the moisture get adsorbed by the charcoal? Or is that not what you are doing? 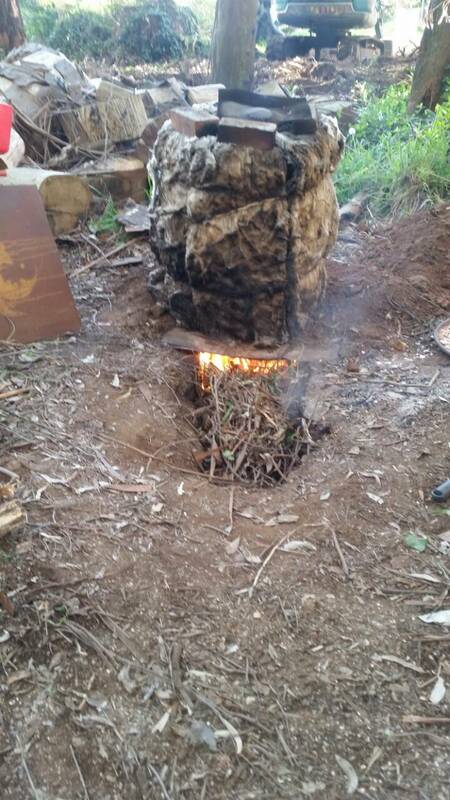 Cut a disc from an old drum end that fits inside the burn drum to serve as a lid to extinguish the charcoal. Bolt this disc to the bottom of the washer tub. Set this combination lid and torrefier basket into the drum. Fill with green feedstock. I took a picture have not up loaded yet but as you will see it all stacks nicely. I intended this to simply snuff out a back yard fire not make charcoal but as you can see by the logs it did more than I expected at very low temperatures. I had no idea this was doing what it was doing to green wood. I thought maybe dry but that it. Snow was packed around the base to reduce any oxygen. More wood, more heat and I wanted to see what it would do. 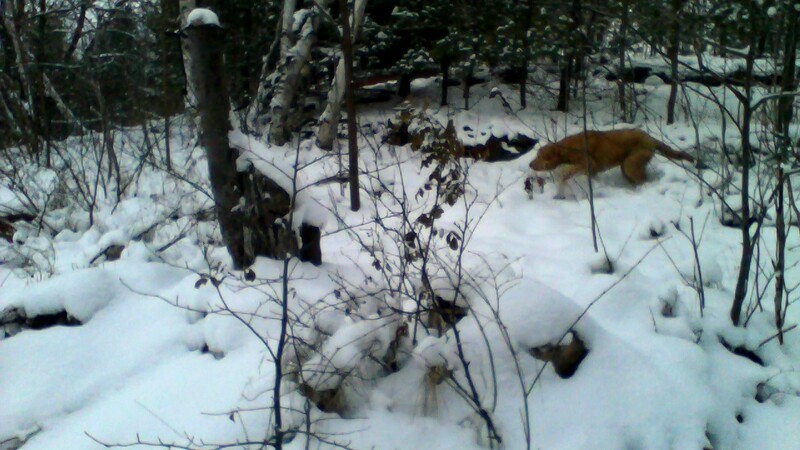 I just checked after a very fast cool down and the green wet wood I piled on is not dry or pyrolized like last time. I think air must have somehow been getting in before and there continued to be combustion on the first accidental run. As you can see from the fire burning wood from the previous run this is a very hot and clean burning fire. This is great fuel, its just not in a form that can be used for gasification. Next time I will chunk the wood to increase surface area and see what happens. most likely. I usually use sand around the bottom to seal it. But if there is a gap, then it can go for a long while. Depending on how wet the wood is, big hunks don’t necessarily come out as char and can take 2-3 rounds before finally turning to char. I think if I were to set the height of the drum correctly and opened a bung on the end for venting I could probably control a burn pretty well. But I cut the bung side off the drum so this is something I would have to try with a new drum. After this evening’s fire there was a little water and soft earth around the washer drum so it was pretty easy to get a complete airless seal. Last time might have been different. Add some air control, insulation, and a couple more wash machine drums to use as baskets and maybe some sort of tripod to raise the drum cover and move the fuel baskets around and this might be a useful way to make charcoal. Notice the paint is not even scorched off the drum? Thats how fast the fire is snuffed out. I am going to take a much harder look at the results of the burn. I suspect I do have some interesting reactions to the burn at different level in the basket the further down I dig. Some of that green oak was in longer and settle deeper before the cover went on. Looking at the base of the cover drum you can see smoke coming up. I wonder if this was flammable ? Maybe a larger 85 gallon salvage drum with hold drilled in the correct places could be put over the green drum to contain these gases for combustion and heat the contents ? This worked for us, try it. It´s just an idea that worked for us, you can adapt your retort. I think you could do well if you open a small cleavage on the top to let the combusted gases, in a pyrolisis enviroment, to be expeled an burnt in the atmosfere. Tray it, nothing to loose. It gives me an idea. If I set the third drum on the green drum with a small chimney on the top with a damper I will have some combustion air control. The as the pyrolisys products evolve and exit the second drum they can be mixed with air and burned between the two. Then I can cook my wood once the inner wash machine drum ( or drums ) are hot and up to temperature and then burn he gasses off and cook the remaining material in an oxygen free environment for maximum charcoal production with little or no smoke. Here are some more pictures from last nights fire. This was a fire to sit by and enjoy until it was time to come in and I tried to use this heat to make char. One more thing I learned is I am producing a lot of tar and condensate and this is running down the drum onto the ground and this is an environmental hazard. You can condense out the tar, and just use the gas. Honestly you are about halfway there in your thought process anyway. See the video Garry posted in #242 in this thread. I said I was not going to do this again until I had a better handle on condensate. But I really drove up the temperatures last night. I chunked my wood and stuff the fuel basket every chance I could to prevent the charcoal I did make from burning up. I managed much higher temperatures and was able to keep the heat long into night once the cover went on. This did not really make for a nice bonfire and although it was warm last night the wife was not impressed.